The sinkhole appeared in the westbound left lane approximately 750 metres west of Allan Way on Wednesday evening and repair crews began working on it Thursday morning. 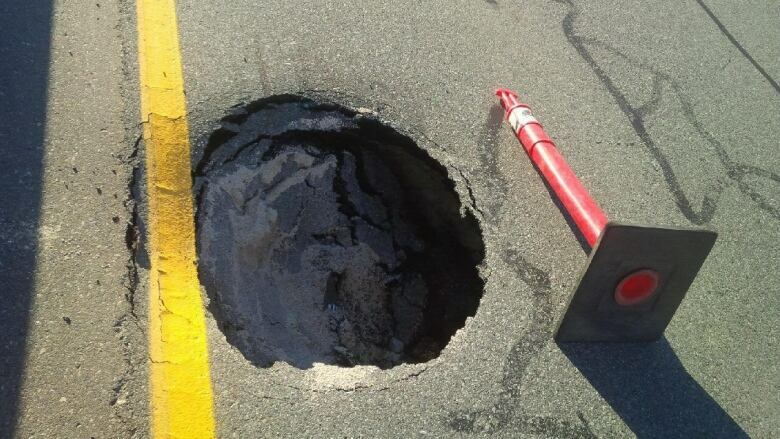 The westbound fast lane of Lougheed Highway in Pitt Meadows, B.C., was shut down Thursday because of a sinkhole. It has since reopened. The sinkhole appeared approximately 750 metres west of Allan Way on Wednesday evening and repair crews began working on it Thursday morning. 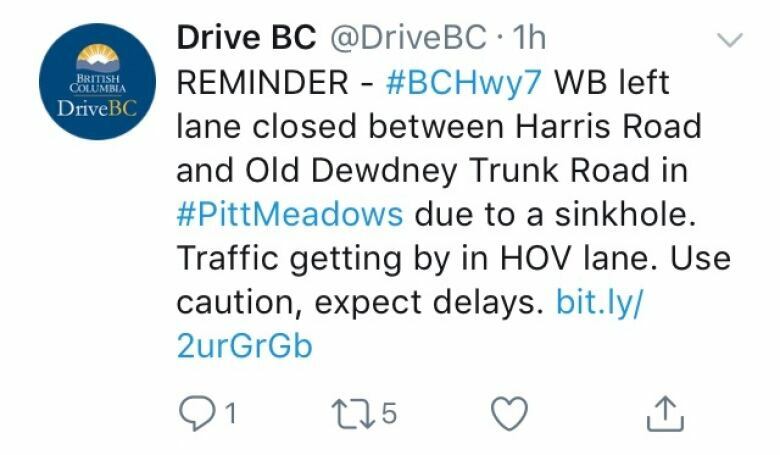 The left lane is closed between Harris Road and Old Dewney Trunk Road. HOV lane restrictions were lifted Thursday and the two unaffected westbound lanes were opened to general-purpose traffic to ease congestion.